Khagrachhari (Bengali: খাগড়াছড়ি) is a district in south-eastern Bangladesh. It is a part of the Chittagong Division and the Chittagong Hill Tracts. Its local name is “Chengmi”. Khagrachhari is also known as Phalang Htaung or the Mong Circle (of the rest of the three hill districts Rangamati is the Chakma Circle and Bandarban is the Bohmong Circle). 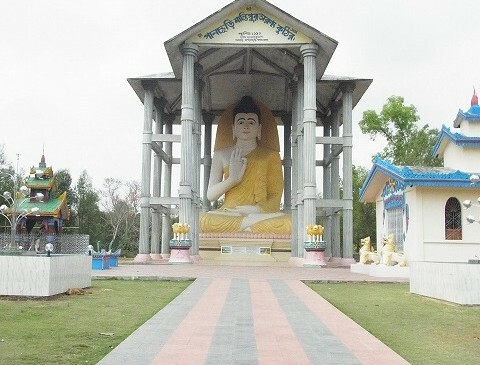 Khagrachhari town is the home town of the Mong Chief (currently King, or Raja, Saching Prue Chowdhury who is the head of the Arakanese descendants living in the circle. It also is the administrative headquarters of Khagrachhari district. Panchari Shantipur Aranya Kutir – 25 km south from Khagrachhari is peripheral region. 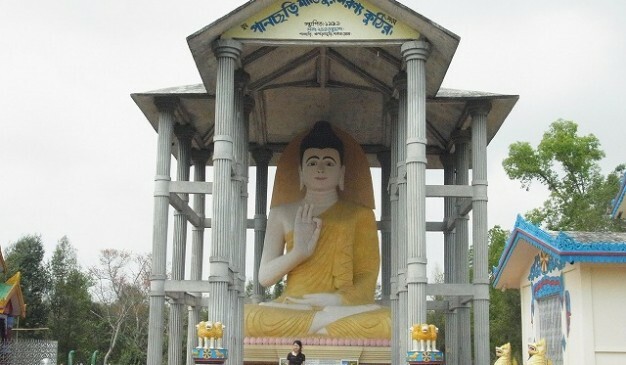 The largest Buddha sculpture of Bangladesh (Panchari Brihot Buddha Sculpture) is situated here. 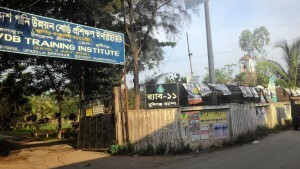 It is located in Panchari Upazila of Khagrachari. There are several ways to reach at Khagrahari. The best available bus service is Shanty, Soudia, S. Alam, Shaymoly, Egal etc. The cost is around 520 taka per person. It will take around 7-8 hours to reach at the town from Dhaka. There is no AC bus service for Khagrachari (except Saint Martin Paribahan, only one AC bus per day). The travelers have to make a trip from Khagrachari to Panchariupozilla by public bus or a private vehicle. From Panchari you can hire auto rickshaw to go to Panichari Brihot Buddha Sculpture. As well as you can find some local restaurant here to eat. In Khagrachari then go to System Restaurant. It is the best restaurant in Khagrachari with lowest price. Don’t forget to eat bamboo fry there. There is no arrangement for food & accommodation in Shantipur Arannya Kuthir. You have to carry drinking water and food with his own. 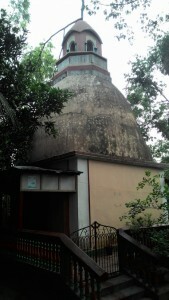 At Golapganj village about six kilometer distance of Dinajpur District head quarter there has an old temple name "Twin temple" locally known as "Jora Mandir". 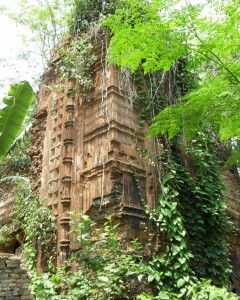 It records that the Jora Mandir was established by Raja Ramnath (1722-1752) in 1676 Shaka era (1754 AD). Now it almost in ruins cause of no care. If you go there you will find 2 Mandir (Temple). Distance between two Temple 100 meters. One of the two is a 25 ratna twelve-sided structure, while the other is a 5 ratna quadrangular temple. The vicinity area of the temples are acquired by the local people, and they have built their own houses around the temple. 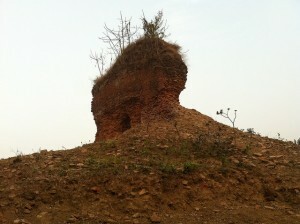 The area of the Mandir are acquired by the local people, and they have establish their own houses side the temple. Thereby causing serious damage to the structures. Both temple are beautiful.